The three colors that can be combined to create all other colors are called the three primary colors. Most colors can be made by blending several colors together but there are a few that cannot be produced through mixing. These are called primary colors. Primary colors cannot be broken down into other colors. Color can be categorized into light source color, which is the color of the light itself, and object color, which is the color produced when light hits an object and is reflected, absorbed or transmitted. The primary colors differ for each of these two types. The former includes sunlight and colors on a computer screen, and the latter includes colors produced by paint and dyes which do not emit light themselves. The primary colors of light source colors are red, green and blue. When these three colors are mixed together, they produce white (achromatic color). The mixture of colors that produce brighter colors than the originals in this way is called the additive color mixture. 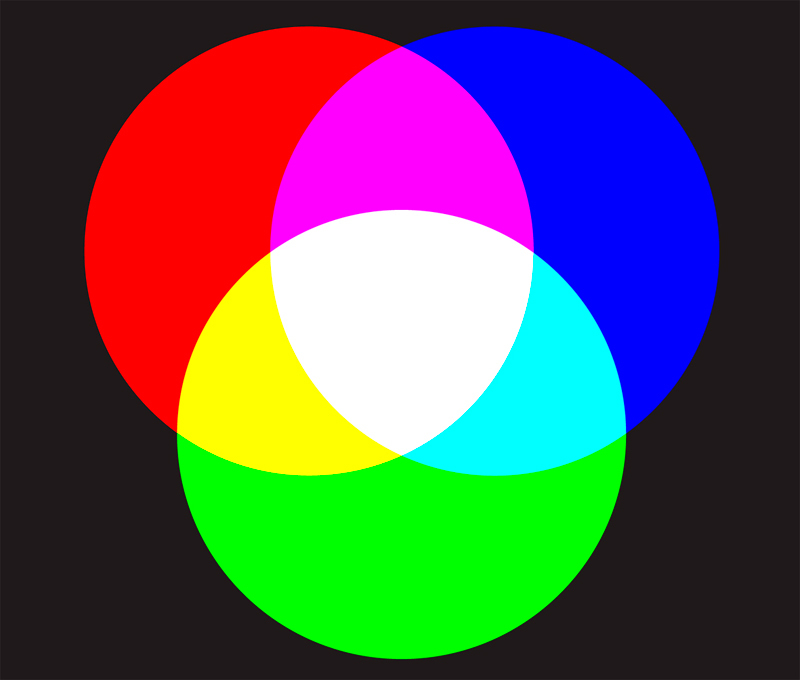 The primary colors of object colors are cyan, magenta and yellow, and these produce black (achromatic color) when mixed. The mixture of colors that produce darker colors than the originals is called the subtractive color mixture. 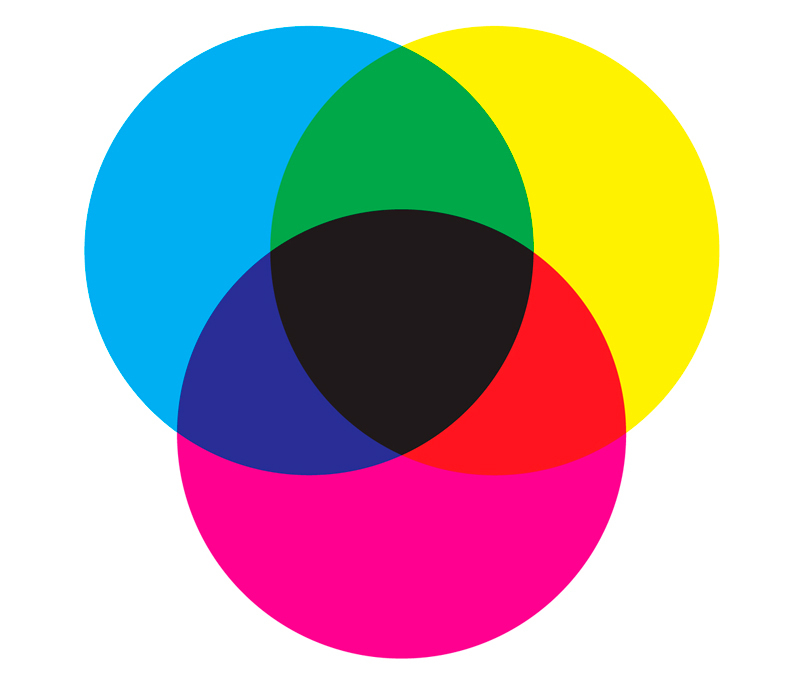 With color printing, cyan, magenta and yellow are mixed with black ink to recreate colors.